Home / Vegetables / 15 Impressive Benefits of Watercress Nutrition. 15 Impressive Benefits of Watercress Nutrition. Watercress is one of the oldest leaf vegetables that have been consumed by humans since ancient times. Watercress is one type of vegetable plant that can grow chronically and has aquatic and semi-aquatic properties. This plant is commonly found in continental Europe and Asia. It belongs to the genus Nasturtium R. Br and from the Brassicaceae family. Other Brassicaceae families include lettuce, mustard greens, radishes, and wasabi. Watercress is one of the common ingredients served as salads, vegetables, soups, sandwiches, and others. 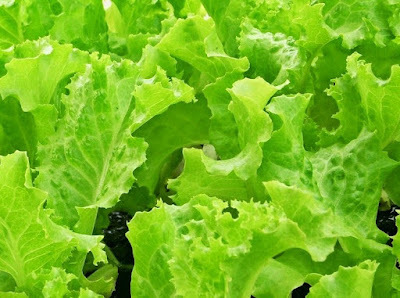 Types of plants such as lettuce, which grows in water, should be washed before processing it, then soaked for half an hour or more. using cold water with extra hydrogen peroxide (about a tablespoon per liter). This substance is used for removing pollutants, parasites, or other impurities. To keep the freshness of this vegetable, when storing in the refrigerator should be soaked with water. Modern science has identified more than 15 essential vitamins and minerals contained in this vegetable. It has a higher iron content than spinach, more calcium than milk, and contains more vitamin C than oranges. Calories contained in each 100 grams watercress only reached 11%. So it is very good to help lower cholesterol levels and is very good for weight loss program. Vitamin K is the most prominent nutritional content in watercress, which plays a role for the formation and strengthening of bones and reduces the risk of nerve damage in the brain. The content of vitamin C in watercress is also very high, almost 72% of the value of vitamin C in the body can be met by this vegetable. Its function is to strengthen the body's immune system in order to fight infections like flu, or colds. In addition, vitamin C in watercress is also useful to help keep the connective tissue to stay in good health and prevent iron deficiency. Vitamin A (retinol) in watercress is essential for the immune system, as well as producing pigments in the retina of the eye. Mangaan plays a role as co-factor enzyme antioxidant superoxide dismutase. Calcium is useful for bone formation and strengthens teeth. Flavonoid antioxidants such as ß carotene, zeaxanthin, and lutein can prevent lung cancer and oral cancer. Vitamin B complexes such as riboflavin, niacin, vitamin B6 (pyridoxine), thiamin, and pantothenic acid, are essential for maintaining the function of the body's metabolic cells. 1. May reduce cancer risk. The results of research conducted by scientists, found the existence of phenylethyl isothiocyanate compounds (PEITC) in watercress that has significant anti-cancer properties. The results of a trial involving 60 healthy men and women who consumed about 1½ cups fresh watercress daily for eight weeks showed a positive result of a decrease in blood triglyceride levels by an average of 10%, and a significant (33% to 100%) improvement in lutein and beta-carotene content in their body. In addition, other research results also show that the content of phenylethyl isothiocyanate compounds (PEITC) in watercress can suppress the development of breast cancer cells. The content of the benefits of vitamin A and C on watercress can also protect the skin from harmful damage, which is triggered by excessive sun exposure and is believed to cause skin cancer. Fresh watercress has a higher concentration of carbonic acid (Vitamin C) than some fruits and vegetables. From 100 grams of fresh lettuce leaves can give 47 mg or about 72% of RDA vitamin C. As an antioxidant, the benefits of vitamin C serves to help overcome free radicals. Laboratory studies show that regular consumption of vitamin C-rich foods can help maintain normal connective tissue, prevent iron deficiency, and can help the body to boost the immune system so as to develop resistance to infectious agents, such as respiratory infections, sinusitis, etc. 3. Lowers cholesterol and weight. Watercress is a very low-calorie green leafy vegetable (only 11 calories per 100 gr of raw leaves) and hardly any fat in it. Therefore, nutrition experts strongly recommend consuming watercress to control cholesterol in the body and weight control. A study conducted at the University of Southampton found that PEITC in watercress was also able to reduce the risk of tumors. When the tumor begins to develop in the body, the compound can quickly overcome the existing blood supply. This will make normal body tissue activity and can send new blood vessels to the tumor to provide the benefits of oxygen and other nutrients. 5. Maintain the function of the breeding channel. Watercress contains a lot of chlorophyll substances. Chlorophyll is a tremendous resource of various enzymes that support and improve the functioning of the digestive system. This enzyme helps the body in absorbing various nutrients and ensuring digestion takes place the right way. 6. Controls heart function and blood pressure. Watercress is also a type of vegetables rich in minerals such as copper, calcium, potassium, magnesium, manganese, and phosphorus. Potassium is an important component of cells and body fluids that help control heart rate and blood pressure. The benefits of watercress contain alpha-lipoic acid antioxidants, which have been shown to lower glucose levels, increase insulin sensitivity and prevent oxidative stress-induced changes in diabetic patients. A study of alpha-lipoic acid showed a decrease in peripheral neuropathy or autonomic neuropathy in diabetics. 8. Reduces risk of cardiovascular disorders. Watercress is very rich in lutein content. These antioxidant carotenoids have the potential to prevent the onset of various cardiovascular conditions, such as coronary artery disease and heart attack. Studies show that leutin in the diet can protect the arteries from damage caused by plaque. 9. Reduces the risk of damage to the brain's nerves (Alzheimer). Vitamin K levels in watercress help reduce the risk of nerve damage in the brain, thus watercress may play a role in the treatment of patients suffering from Alzheimer's disease. The content of iron benefits in watercress has an important role in the synthesis of hemoglobin and the production of folic acid, where these two elements are very important for red blood cells. In addition, the vitamin C content in these vegetables can help the body to absorb iron properly. So that will prevent anemia due to lack of iron. In watercress is also contained an enzyme that works for detoxification and cleansing of the liver. The content of natural diuretics in the benefits of vegetables like this can protect from liver damage and intoxication due to alcoholic beverages. 12. Reduce the risk of stroke. A study shows that people who consume folate in their diet, have a lower chance of developing a stroke. Consuming 2s to 3 servings of watercress will provide the amount of folate required by the body so it can reduce the risk of stroke. Anti-inflammatory, antimicrobial, and anti-bacterial content in watercress can help reduce various skin conditions, such as acne and rosacea. It can clear the affected area of acne to prevent further infection. In addition, anti-inflammatory in watercress is also able to purify the blood from the inside and free the skin from infection. 14. Maintain healthy scalp and hair. The content of zinc and sulfur in watercress can help avoid the risk of bacterial infections that affect the scalp and hair. It can keep moisture on the scalp and prevent dry scalp that triggers dandruff and peeling skin. In addition, Vitamin A in watercress offers important nutrients to balance hormonal function so as to make hair growth more productive and reduce the risk of hair loss. The content of vitamin A in watercress is also very high. From 100 grams of the vegetable dish is able to provide + / - 106% intake of vitamin A is very good for maintaining eye health, prevent cataracts or other vision disorders. Side Effects of Watercress Consumption. Watercress is not safe to use as a medicine in children, especially in those aged less than four years. Watercress is not safe during pregnancy, this can cause a miscarriage. Do not consume watercress if it has stomach upset or ulcers on the intestine. Do not use watercress if you have kidney disease. Watercress seems to be safe for most people in food quantities and in drug quantities when used in the short term. 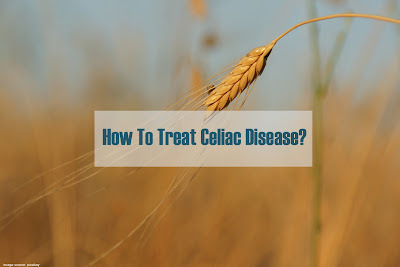 However, when used in large or long-term amounts, it can cause abdominal pain or kidney problems.